Looking for an RV, but dreading the research? The fastest and easiest way to figure out if you love an RV or not, is by renting! We at Campbell RV pride ourselves on our great RV rentals, which are in great condition and leave you wanting to spend more time out on the road! If you’ve never camped before, or you’re just looking for the next upgrade on your recreational vehicles, RV rentals are the place to start! This is a great solution to spending so much time looking into RVs. You’ll be able to spend time experiencing instead of just researching the RV lifestyle. This allows you to not only camp, but also gives you a chance to figure out what you need to bring, what you need to leave behind next time, and what kind of camping adventures you love the most, and all starting at only $195 a night (up to $218)! Choose any of our motorhomes in the RV rentals fleet and head out on the road! 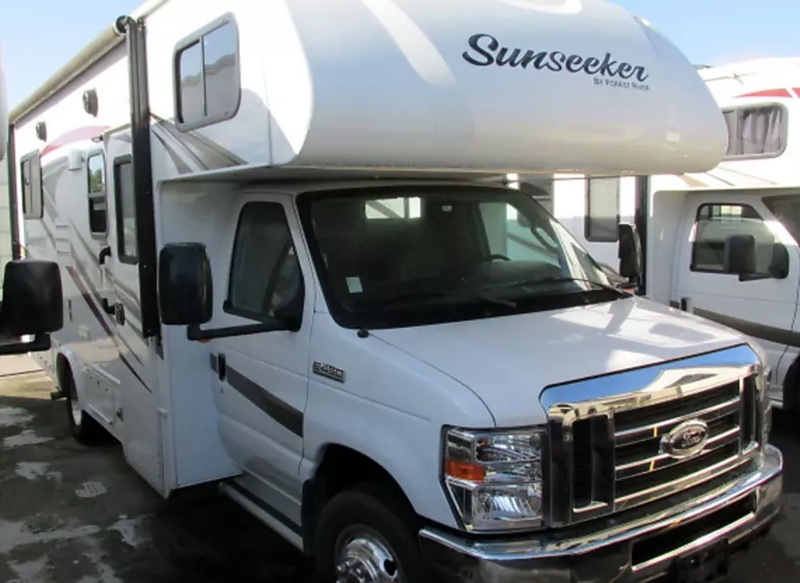 Many of these motorhomes have a sleeping capacity of 6-9, a full bathroom, kitchen, living area, entertainment, and loads of storage to carry all the equipment you’ll need! You’ll have the option to rent a motorhome for 3, 5, or 7 days. Spending a good amount of time together will give you a great idea of how well you’ll adjust to the RV life. Contact us or call our Rental Specialist at 941-342-4330 for all the details about our RV rentals! We are here to help you find the best RV for your needs. Our experienced team will walk through available units, talk through your options, and ensure you get what you and your family need. Once you’ve tried out a rental, check out our new RVs for sale and enjoy your new RV life!